If there’s one word to describe Sinder, it’s mellow. Add quiet and polite and you get the picture of why she’s such a joy to have around. Surrendered when her owner lost his home, she came to us along with her housemate Cleo. 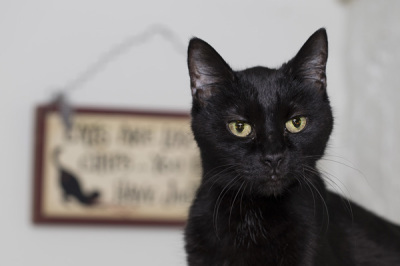 Sinder is a gentle and peaceful presence, who just wants is to sit on your lap, but she’s not a pest about it. That is definitely her happy place though!!! She enjoys cuddling up in your bed at night. 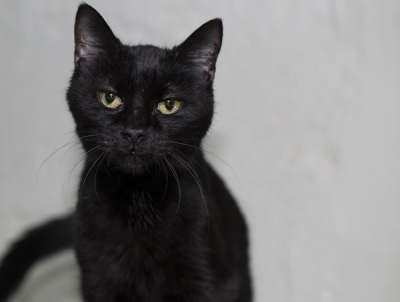 If you are looking for an easygoing, furry little presence in your life that isn’t a bit of trouble, Sinder is your girl! 2015-02-01: Sinder’s new family fought heavy snow and fierce winds, to make it in to the shelter, to adopt their precious little girl. Sinder is reportedly excited to have another chance at a forever-home, and looks forward to a life of love and happiness!